Reynolds Foil Wrap HD #624-- 18" X 500'. 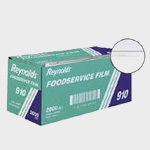 Reynolds Film Wrap 12" X2000'-Cutter Box. Reynolds Film Wrap #914-- 18" X 2000'. 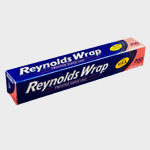 Reynolds Film Wrap #916 24" X 2000'. Reynolds Foil Wrap #611 Standard Weight 12" X 1000'. Reynolds Heavy Weight Foil Wrap #620 12" X 500'.